Electrolux AB (commonly known as Electrolux) is a Swedish multinational home appliance manufacturer, headquartered in Stockholm. It is consistently ranked the world's second largest appliance maker by units sold after Whirlpool. Electrolux products sell under a variety of brand names (including its own), and are primarily major appliances and vacuum cleaners intended for consumer use. The company also makes appliances for professional use. Electrolux has a primary listing on the Stockholm Stock Exchange and is a constituent of the OMX Stockholm 30 index. 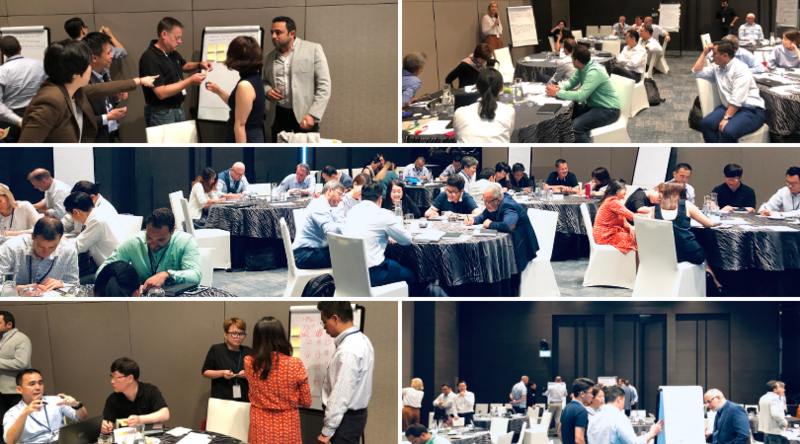 Electrolux wanted to introduce a Design Thinking mindset to the Finance team across APMEA (Asia Pacific Middle East and Africa). They engaged Collective Campus to upskill the team in Design Thinking, including the tools required to apply it across the finance department of Electrolux. - Develop a detailed understanding of Design Thinking as a creative problem-solving mindset. - Build hands-on knowledge in use of best practice tools and templates. - Develop strategies to adopt behaviours required to embed Design Thinking in the finance team. - Learn how to develop concise pitches for management to ensure buy-in to progress ideas further. The team gained a deep understanding of the value in applying Design Thinking to the finance department. The workshop helped facilitate an end to end understanding of Design Thinking and provided the team with a key selection of tools to develop, prototype, and pitch their ideas. The team were split into 8 different groups and developed innovative solutions after applying the design thinking methodology. These solutions were aimed at driving innovation across the finance function of the business.